The first part of our Montana trip began at our good friend, Mike Geary’s, Healing Waters Lodge, in Twin Bridges, Montana. 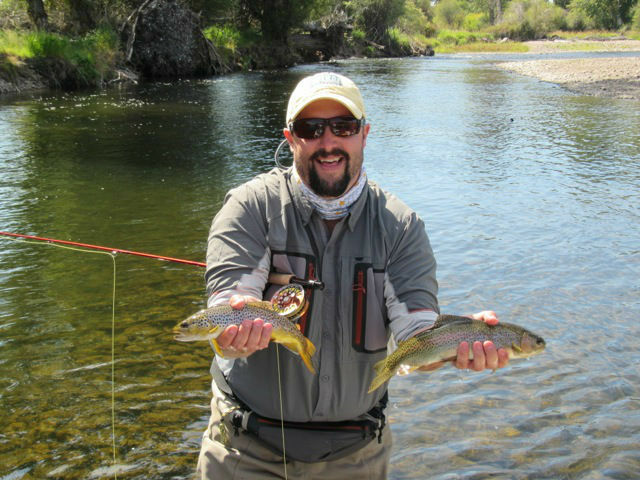 (www.hwlodge.com) The lodge is elegant, the food is gourmet with excellent service and the fly fishing and the guides are simply top notch. Mike also has the majority of the launch permits for the Smith River which is absolutely one of the finest week long float trips on the planet. 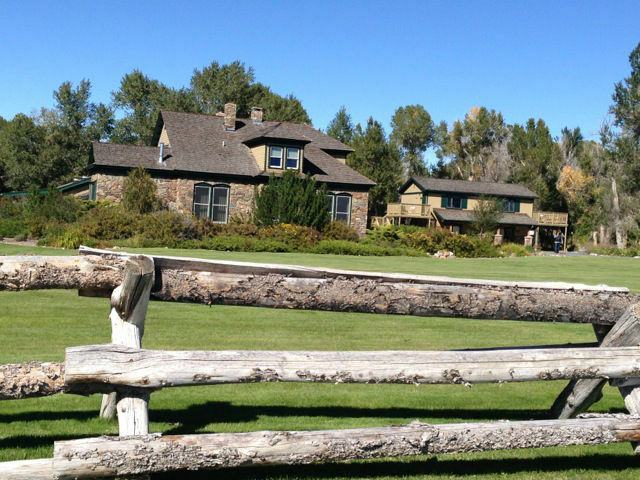 (www.lewisandclark expeditions.net) If you are going to Montana and want a first class experience this is the place! We fished the Jefferson, Big Hole and Madison Rivers during our stay along with a couple of other private water options that Mike has available for his guests. As you can see from Trent’s photo below we had double hand fulls of fun with a Big Hole River Rainbow that Bo caught and a beautiful Brown Trout that Trent hooked up. We had multiple double hook ups each day and most of our fishing was terrestrials including hoppers, ants and beetles. There a lots of photos in the Gallery section of the website in the Yellowstone National Park photo album. We will post another report about our fly fishing in the park during this trip a little later. There simply is no better place for a Yellow Lab than the rivers of Montana!